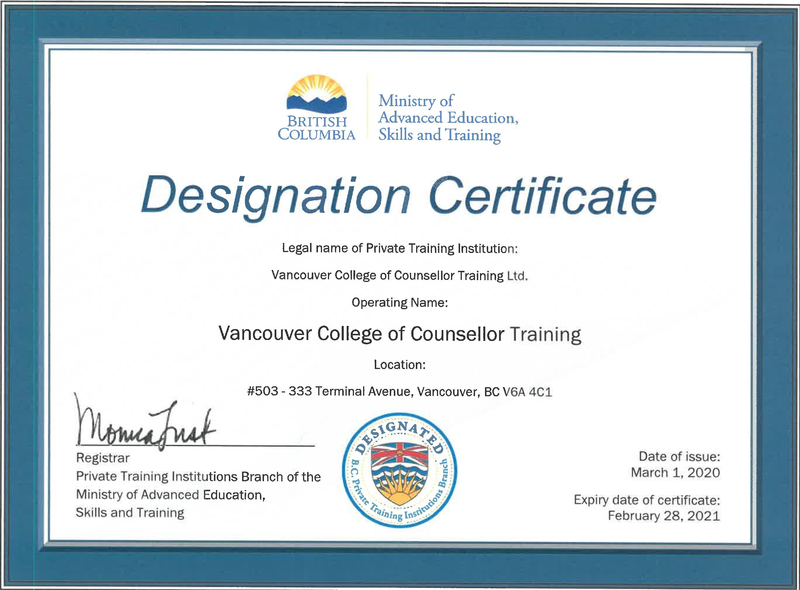 The Vancouver College of Counsellor Training offers many stimulating and enriching opportunities for personal growth and professional development. 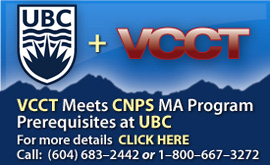 VCCT is ideally located for any prospective student residing in the Vancouver Lower Mainland, and all of the Greater Vancouver Regional District Municipalities and Cities including: North Vancouver, West Vancouver, Burnaby, Coquitlam, Delta, Langley, Maple Ridge, New Westminster, Richmond, Surrey, White Rock, Abbotsford and Chilliwack. Our diplomas, specialized certificates, and certificate programs are offered to both new students and experienced practitioners already working in community service agencies or private practice. All programs and courses at VCCT are available to Canadian and International Students both on-campus or through distance education. Students who enroll at VCCT may be interested in personal growth, exploring a new career, completing a College Diploma for its own value or as a step towards further University training, or to enhance and upgrade their practitioner skills and abilities. Courses are designed to provide adequate theoretical background knowledge of counselling and practical skill training, which can be immediately applied to counselling situations. Our courses are based on the most current and widely recognized research, techniques, academic and ethical standards in the counselling field today. Our instructors, professional and practicing psychologists, counsellors and therapists are able to use their own practical wisdom and insights gained throughout their careers to enrich the learning process for VCCT students and are dedicated to providing a meaningful educational experience. The following programs have been approved by the Registrar of the Private Training Institutions Branch of the Ministry of Advanced Education Skills and Training. 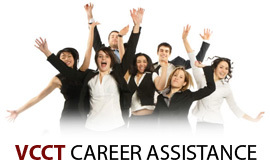 Our skills, in addition to providing indepth preparation for a successful career in counselling are the most transferable set of career skills that can be used in any employment setting. They are also the most impressive addition to your resume.